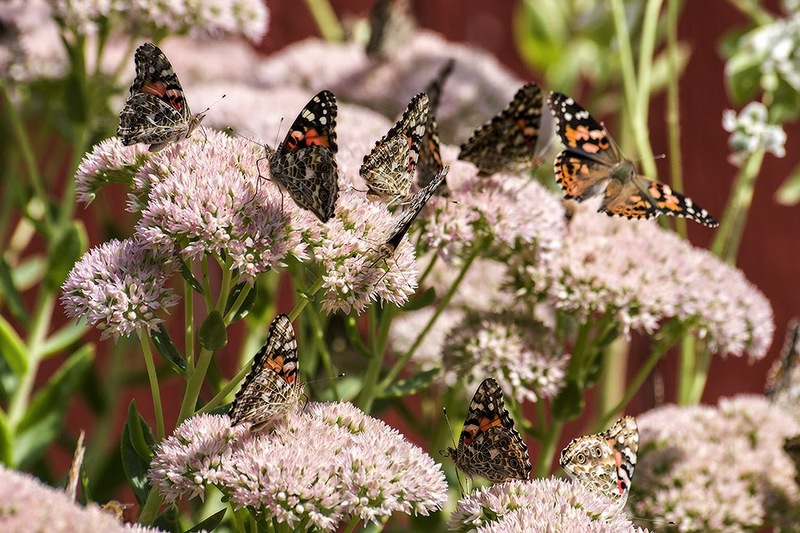 There has been quite the explosion of Painted Lady butterflies in my garden in the last few days. I have had a lot of them around this summer in the perennial garden and on the Zinnias but they are here in great numbers now that the Autumn Sedum is blooming. I can see at least 50 of them at one time and it's quite lovely when I walk past and they all flutter around. I captured this large group of them just yesterday.